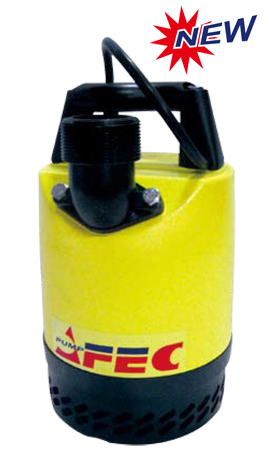 FLS & FLSR Series – Lightweight but heavy-duty contractor pumps. A compact and unique-designed pump with double casing and circumferential liquid flow achieving superior cooling effect for continuous operations. Max. head – FLS-400: 11 m / 36 ft., FLS-750: 15m / 49 ft.
Max. 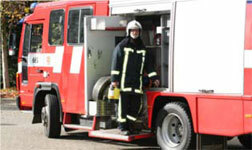 flow – FLS-400: 240 l/min / 63 gpm, FLS-750: 320 l/min / 85 gpm. Aluminum alloy outer case – lightweight with excellent cooling effect for 24H running. Stainless steel 410 shaft + double mechanical seals (CE/CA+SIC/SIC)– quiet and long lasting. PU impeller – easy maintenance and service. Standard cable length – 6 m (10 ft), or 10 m (33 ft.) upon request. Tethered float switch is available upon request – FLS-400A, FLS-750A. Ideal applications – utility, telecommunications, power generation plans, drainage of construction sites & civil engineering projects.